As we approach Good Friday and then Easter resurrection, these words and their overall message of promise are so encouraging. It is very good to remember what Jesus did for you and I and anyone else who confesses with their lips that Jesus is Lord and believes in their hearts that God raised him from the dead that they will be saved (paraphrase Romans 10:9). 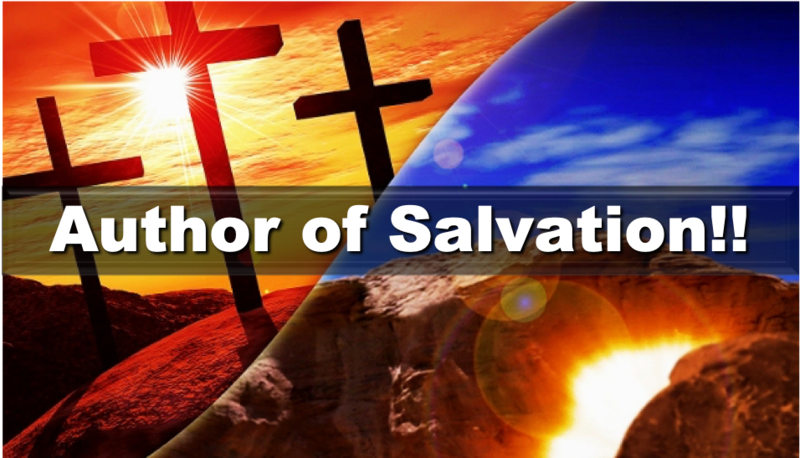 And, Hebrews 2:10 tells us that Jesus is the pioneer of salvation. So, for those who claim Jesus as Lord and Savior, it is incumbent on them to be a living witness to this very reality…especially for those who have yet to know the saving grace of God. I have known many who avoid Good Friday claiming that it is too brutal. 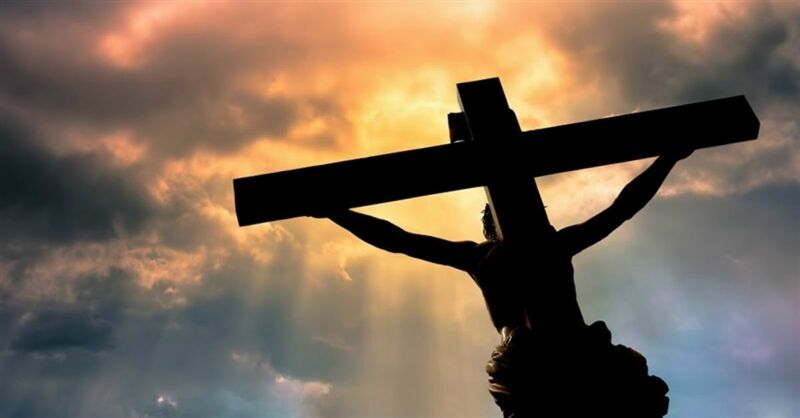 Yet, unless you understand and accept the depth of love God has for all his children made real, in part, in the pain and agony of Good Friday, one cannot fully comprehend fully what salvation really means. The song by Hillsong, “Mighty to Save” ends this way and provides a bias for action on our part…based on your confession of faith!! So today I was supposed to only blog about verse 3, but that verse alone didn’t quite do justice for describing the title of today’s entry. I see this passage as being somewhat of a pay it forward situation. When we are feeling down and troubled, God will be there to console us. He will see us through to the end, even if the end isn’t what we had hoped for. We have to remember that He has the big picture and we basically only have tunnel vision. Consoling us might not mean we are getting a get out of jail free card if only we pray hard enough. His plan might be for something much more significant. It might be the next spectacular thing. We just have to struggle with some things first, and God is there to see us through it, even if it isn’t easy for us. But, we also will have people placed in our lives that need us to be there for them too. As tough as times might be for us, everyone else is struggling with things of their own. A phrase we use a lot at my school is “Be kind. Everyone is fighting a battle you know nothing about.” As challenging as times may be for you, there are probably people with the same if not bigger challenges. We need to show them compassion and give them support, as difficult as that may be for us to do. The final paragraph says that we have to endure the hard times just like you enjoy the good times. I tell my son Creighton often that nothing good comes without hard work. Things aren’t always going to be easy. You need to have a little grit. The old saying that I remember from when I was a kid is that when the going gets tough, the tough get going. Look to God in prayer for guidance and strength to carry on. Know that He is there. He is the footprints in the sand carrying you when you can’t go any further. It may not be easy, but you CAN do it. I guess by extension we can safely say that the one perfect gift given is in fact the Holy Spirit. James is not talking about cars, or phones, or lotteries, or any material things. Once we are born alive in the Spirit, all fleshly things pale in comparison to the spiritual. Yes we are still required to live on this earth and we have necessary needs, and we are even allowed to have certain luxuries, but they are not the true focus of our lives. We are in the world but not of it. We have a certain desire for spiritual things, and the greatest good gift given by our Heavenly Father is the promised Holy Spirit, that would only come after Jesus ascension, and is our advocate, our comforter, our seal, and our pledge. We are seeing a lot of divine appointments here in Missouri, a lot of the Holy Spirit’s working, answered prayers, changed lives, and good things abounding all around. I wish there was more time and space in these blogs to fill you all in on some details, but it is enough to tell you that the Holy Sprit is alive and active, what a perfect gift from God the Father. A bit of Christmas to get our Holy Week started. Physically speaking, the former was a requirement of the later. Theologically speaking, His sacrifices at the the cross, the later were necessitated by His birth, the former. That’s the hidden meaning behind Christmas. The writer of Hebrews informs us that Jesus is the final sacrifice for all of our sins, “we have been made holy through the sacrifice of the body of Jesus Christ once for all” (10:10). No longer are animal sacrifices going to be offered to God over and over again, day after day, for the forgiveness of Sins. There is a new covenant in and through the Lord Jesus Christ. Verses 16 and 17, promises the prophet Jeremiah announced long ago, are now fulfilled in Jesus. This is wonderful promise from God fulfilled in and through the Lord Jesus Christ. Give thanks for the promises of God today. The Lord is good and trustworthy and faithful to all his promises. And there’s more! We are forgiven in and through the sacrifice of Jesus, his death on the cross. Remember the goodness of God, the Father, Son, and Holy Spirit this day and every day! Let’s start this morning with a little Eddie James Gospel music, yeah? How can you not be pumped after listening to that? In life we can easily get hung up on things. We can get distracted by promotions, items, money, and status. We can begin to identify ourselves with various labels: mother, son, gay, abused, abandoned, practically perfect. God is higher and bigger than those things. He is bigger than your struggle, He is mightier than that gold status you’re killing yourself for. His name overpowers any other label you may want to claim as your identity. But guess what? Once you’ve accepted Christ in your heart and proclaimed with your mouth that he is your Savior all other titles fall to the wayside. Your number one identifier is Child of God. You belong to the One who is Most High, Whose Name is greatest, and Whose strength is mightiest. This morning, after enjoying in a little praise music, meditate and pray on the verse. What does it mean for the Lord to be Most High in your life? The selected text for today comes from Psalm 139. The suggestion is on 2 verses, #1 and #13. One of my great pet-peeves is taking Scripture out of context…in other words, proof-texting. While these 2 individual verses are very good, if you want to begin to understand the closeness of the God we worship then read the whole of Psalm 139. Do you believe God is ever present? Have you stopped, recently, to think about this? These are Lenten journey questions. 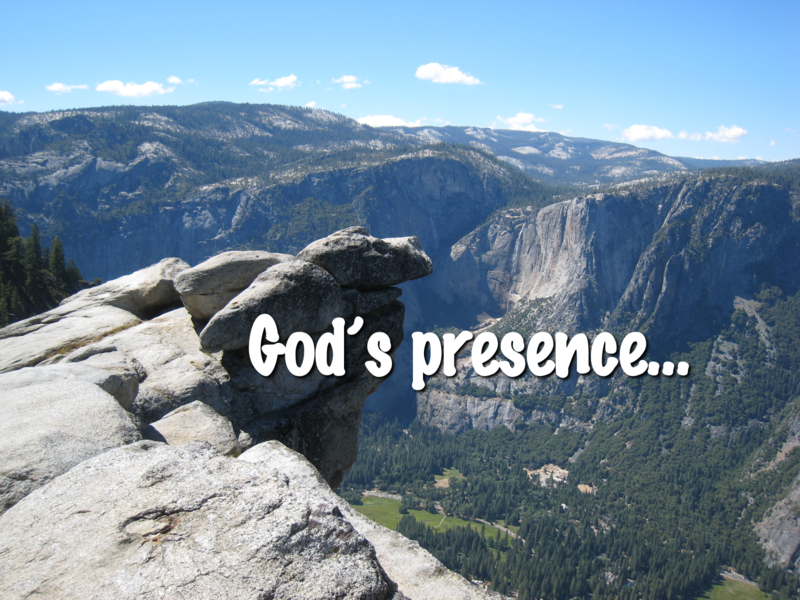 Is God’s presence comforting to you? We Christians love to use fancy words and phrases…like omniscience and omnipresence. How about saying instead…God knows me and God is with me. The picture for this post was taken when Tari and I were in Yosemite in 2012. I thought about this particular place looking down on the Yosemite Valley and thinking again about the many times and places in my life where God is and has been present…even in those times where I have felt alone. For today, I can imagine sitting out on this outcropping and knowing God is there. Equally true, I can imagine being one of those very small objects down below and knowing that the God I worship knows I am there and not only knows but is…present! and overwhelmed by your infinite wisdom. we rejoice that you do not forget us. sisters and brothers of Jesus Christ, your Son in whose name we pray. Amen. As I sit down to type this, I have a show on that I like to watch called Expedition Unknown on the Science Channel. Archaeologist Josh Gates travels around the world trying to find “buried treasures” of the past. Artifacts from times past that tell stories of the people of that time period. Tonight, they are unearthing new artifacts in Egypt. Some of the artifacts that Josh turns up have been lost and forgotten about for thousands of years. They have become hidden from all…humans. The fact of the matter is that most archaeological finds are 100% accidental, often times by people excavating to build new roads or buildings or whatnot. Another analogy before I get to my point. For those of you who have children (whether young or now adults), you are well aware of how being a parent can sometimes be like being a detective on Law and Order. You are about 99% sure that your child is guilty of doing something, but you need to get to the bottom of it by asking probing questions to try to get the truth out of them. Sometimes, you can get to the real truth, and sometimes, it remains hidden. At least it remains hidden until they become adults and maybe finally fess up and tell of that one time that they did that one thing that you didn’t know about. Now that I am in my 40s, I still don’t tell my own parents some of the stupid things I did when I was a kid…still hidden. But all of this stuff that might be hidden by dirt or by children not wanting to tell the truth to their parents isn’t hidden at all from God. We have an all-knowing God who knows what is in our heart. Even if we don’t say or show our true feelings, HE KNOWS. 1 John 3:20 says “If our hearts condemn us, we know that God is greater than our hearts, and he knows everything.” Psalm 139:4 says “Before a word is on my tongue you know it completely, O LORD.” As hard as we might try to brush our sins under the rug and hide them from the people in our lives, our sins cannot be hidden from Him. With that being said, we know that we can go to Him in prayer to confess our sins and accept His grace. Prayer: Thank you God for loving me, a sinner. Because you know all, you knew the need to send Jesus to this fallen world. Thank you for sending your Son to the cross in order to wipe the slate clean for me. I pray this in His name. Amen.